Clomid or Clomiphene Citrate is an effective and strong estrogen modulator with a classification of Selective Receptor Modulator. This is the same with another well known SERM Tamoxifen Citrate or Nolvadex. Clomid first came to be known as a powerful aid for fertility during the early part in 1970 and is still taken today for the same reason. 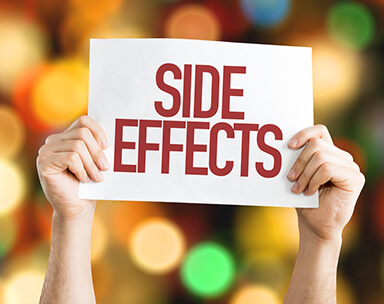 Fight the side effects of estrogen, which is sometimes referred to as anabolic steroids. 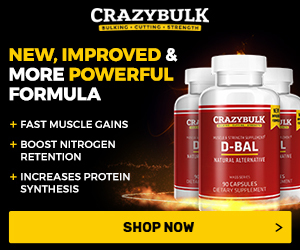 It could also be used as a medication in a Post Cycle Therapy (PCT) to revitalize the restrained production of testosterone because of the use of anabolic steroid. The use of Clomid in the PCT is the usual reason and most helpful reason for individuals who use the anabolic steroid. Clomiphene Citrate is particularly used as an aid to fertility because of its capacity to promote the gonadotropins release. 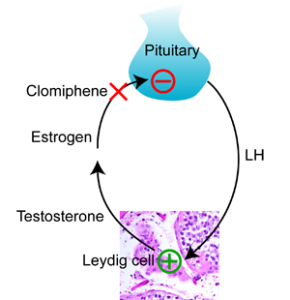 This drug can resist the negative reaction of estrogens on Hypothalamic-Pituitary-Ovarian-Axis. Thus, the notable rise in the release of Follicle Stimulating Hormone or FSH and Luteinizing Hormone or LH. This increase in the release of gonadotropin will result in the release of the egg, which will eventually increase the possibility of conception. Clomid, in addition, has a powerful compound of anti-estrogen, which could be used as a therapy, yet its anti-estrogen compounds are mostly related with the use of the anabolic steroid. With the increase in the level of estrogen, gynecomastia may occur, including excessive water retention that can prompt high blood pressure. By using Clomid while using anabolic steroid, the estrogen receptors will bind with the SERM, therefore preventing the binding of estrogen hormone. This aids in fighting gynecomastia as well as a good effect on the water retention. However, this won’t be enough as this will not lessen the level of serum. Clomid stimulates the pituitary in order to release additional FSH and LH. In turn, it will also stimulate the improved production of the natural testosterone. This is significantly useful to the users of the anabolic steroid post cycle as the levels of natural testosterone will be low enough to suppress as a result of the use of anabolic steroid. Visual disturbances. Data will show that an estimate of 1.5% of those using Clomid may have some kind of visual disturbance which is usually in a hazy or blurred form of vision. The use of this drug must be discontinued; alternative drugs must be evaluated. In most cases, the vision usually becomes normal, but there are cases when discontinuation of the use of this drug did not treat the visual disturbance. A few may have acne. This seems to be common once the SERM has been used in the PCT program. The SERM is not actually what causes the acne. The increased influx of natural testosterone, which is being generated is the reason. For fertility, Clomid doses should be at 50mg in a day. Its process is quite simple - 5 days into menstrual cycle an everyday 50mg dose must be taken per day for five consecutive days. The dose can be increased up to 100mg in a day can be administered if conception fails. The cycle should be done 5 or six times in the course of the menstrual cycle until the woman becomes pregnant. When conception fails after 5 or 6 cycles of the therapy, alternative remedies should be evaluated. 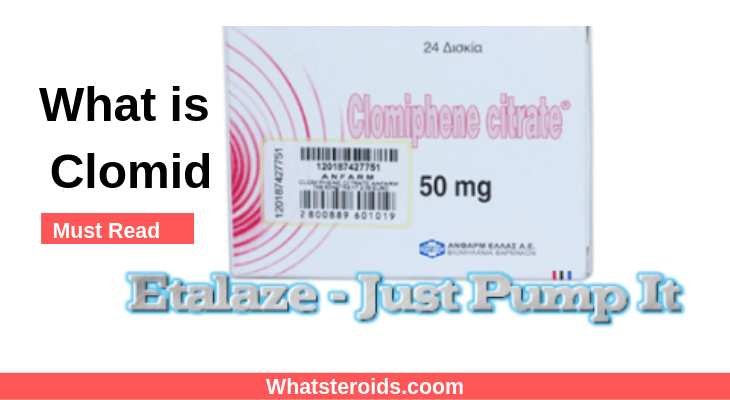 For those using anabolic steroids, normal doses of Clomid will usually be 50mg in a day day for the whole cycle. If this the required protection is not provided, you may have to use an Al such as Arimidex. Nevertheless, there are a number of reported successes for this on cycle protection. Standard doses of PCT Clomid usually begins at 100 to 150mg in a day for 1 up to a couple of weeks. If cycle will end with small ester base anabolic steroids, start your Clomid, 3 days following your final injection. If cycle will end with large ester base anabolic steroids, start with Clomid, 2 weeks following your final injection. If cycle will end with small ester base anabolic steroids, start HCG, 3 days following your final injection, then start Clomid after the completion of HCG therapy. If cycle will end with large ester base anabolic steroids, start with HCG, ten days following your final injection, then start Clomid after the completion of HCG therapy. How to Avail of Clomid? Clomid can be bought on black markets and pharmaceuticals worldwide. This is not considered a controlled drug in the U.S., but a prescription is required unless bought through the research chemical lab or RCL. A number of RCL’s have appeared for years that give SERM’s, peptides, Al’s and other non-controlled products yet needing a prescription. Through giving these products in the liquid form and for the purpose of research, people could purchase them legally with no need for a prescription. When the law enforcement will choose to make this an issue and can prove that your purchase was intended for other purposes other than research, then you could be in trouble. More than the RCL, prescription for Clomid is quite easy to get. Most steroid suppliers in the black market have the SERM. But purchase made from any supplier of steroid would mean breaking a law, even if you are not really buying the steroids. Related: Long-Term Use of Clomid or Nolvadex to Increase Testosterone Levels , Why Taking Clomid and Tamoxifen Together?